With the support of CAS-SEABRI, a 6-people team united the National Museum of Vietnamese Natural History to conduct the field survey of Cenozoic fossil flora in Vietnam from 20th to 30thApril, 2017. With the support of Southeast Asia Biodiversity Research Institute, Chinese Academy of Sciences (CAS-SEABRI), headed by Professor Zhekun ZHOU and associate Professor Tao SU of Paleoecology Research Group, Xishuangbanna Tropical Botanical Garden (XTBG), a 6-people team united the National Museum of Vietnamese Natural History to conduct the field survey of Cenozoic fossil flora in Vietnam from 20th to 30th April, 2017.This activity surveyed Cenozoic sedimentary strata and paleobotany in the provinces of Vietnam, including Quang Ninh, Lang Son, Cao Bang and Yen Bai. 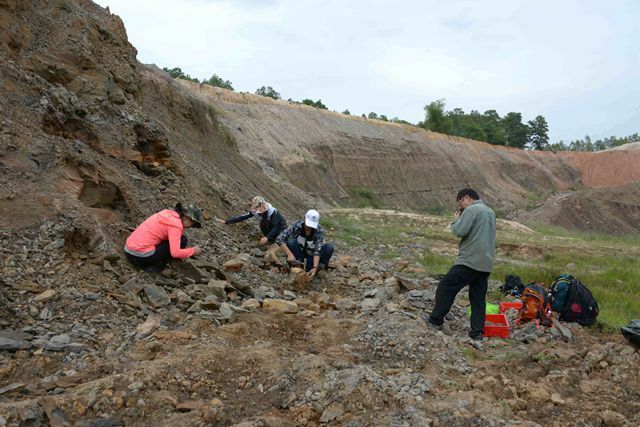 They found four new fossil origins and collected more than 400 pieces of materials for fossil flora study, which successfully completed the survey plan. 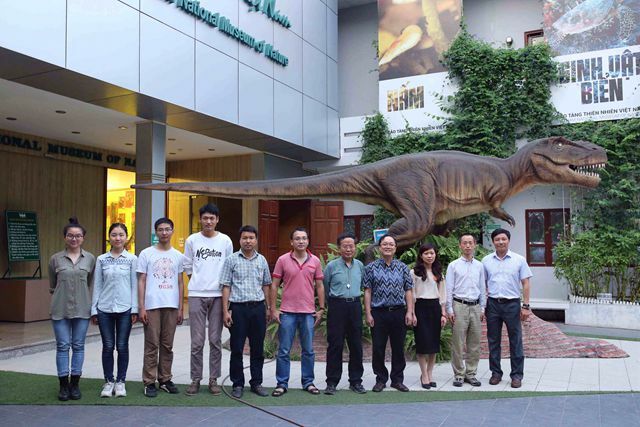 In addition, Paleoecology Research Group have reached consensus with National Museum of Vietnamese Natural History on the future research cooperation and personnel training of palaeobiology. This union filed survey has important research value on understanding the origin and evolution of the biodiversity of Southeast Asia tropics and the history of ancient climate and altitude. 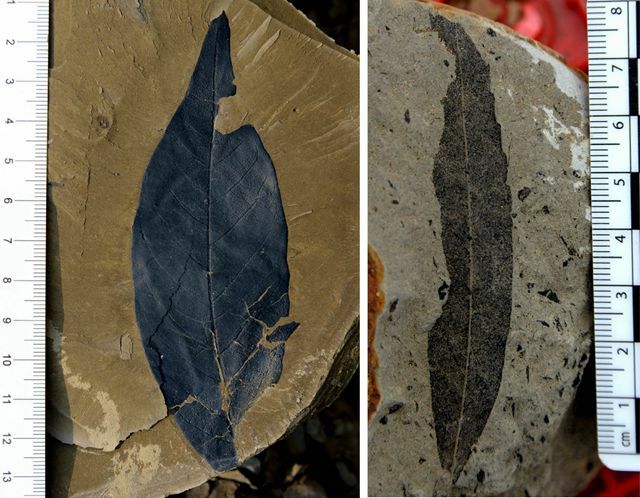 Because of the high vegetation coverage and the shortage of Paleoecology researchers in Southeast Asia, its Cenozoic fossil floras research was almost in a blank state for a long time. At the beginning of last century, the French botanist Madeleine Colani studied the Cenozoic fossil flora from Hanoi to kunming, then he wrote the famous book “Étude sur les florèstertiaires de quelquesgisements de lignite de l'Indochine et du Yunnan”. For the next 100 years, there was no studies or reports concerning Cenozoic fossil floras. In June 2016, XTBG signed a memorandum of cooperation with National Museum of Vietnamese Natural History. In November 2016, Deputy Director of the museum, Professor Vu Van Lien visited XTBG, and reached a preliminary agreement on this union filed survey. Within the strategy of "One Belt and One Road", XTBG actively promotes the scientific cooperation with Southeast Asian countries. Paleoecology Research Group also actively follows the call to act with the support of CAS-SEABRI, focuses on the evolution history of the biodiversity and palaeoenvironment of Southeast Asia, and make efforts to expand international cooperation with Southeast Asian countriesthrough bilateral visits, field union investigation, and international students enrollment. This is the first time that Paleoecology Research Group has conducted a field survey in southeast Asia, which has established the foundation to further international cooperation.